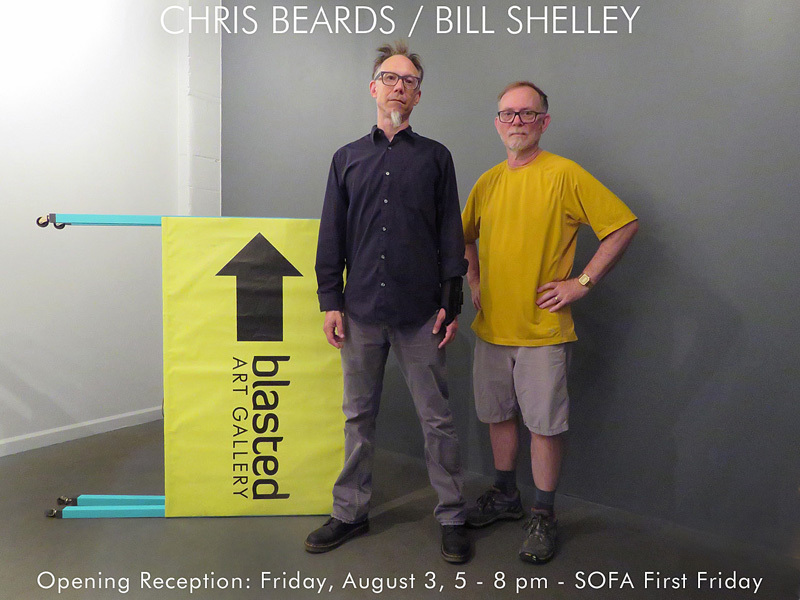 New mixed media sculpture by Chris Beards and works on paper by Bill Shelley, cofounders of Blasted Art Gallery. Beards's sculptures explore the themes of loss, love, and remembrance. Shelley's drawings feature highways as symbols of shared meaning and personal significance. NOTE: “Somewhere Funner” does not promise fun. 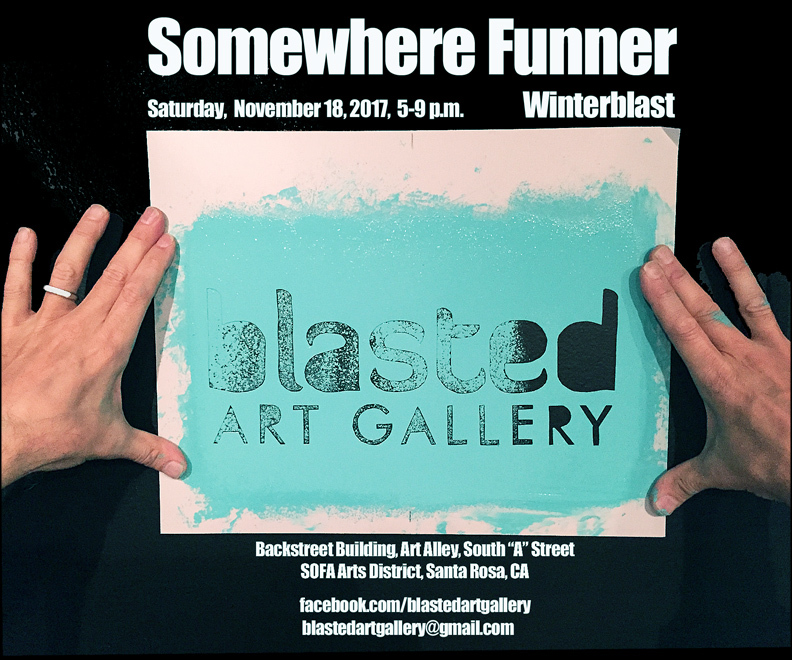 “Somewhere Funner” was an installation/social media/photography/performance artwork conceived for Winterblast, a popular Santa Rosa SOFA Arts District street festival. 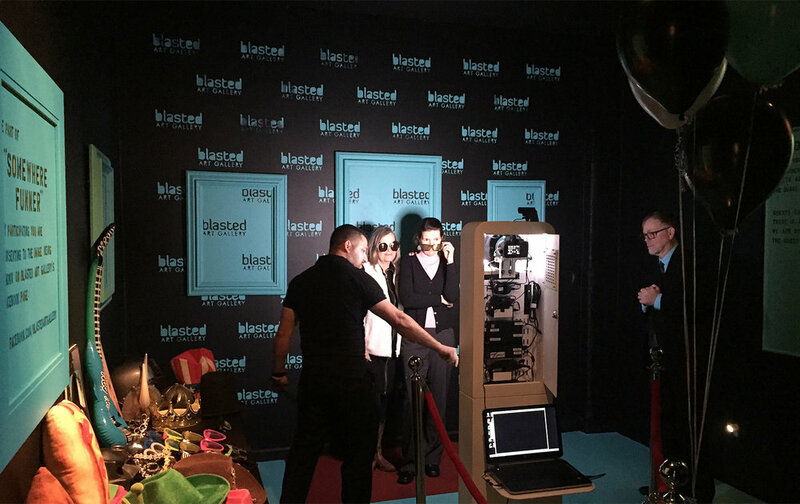 A photo-booth was placed within Blasted Art Gallery. Guests were photographed in front of a “red carpet” style wall. 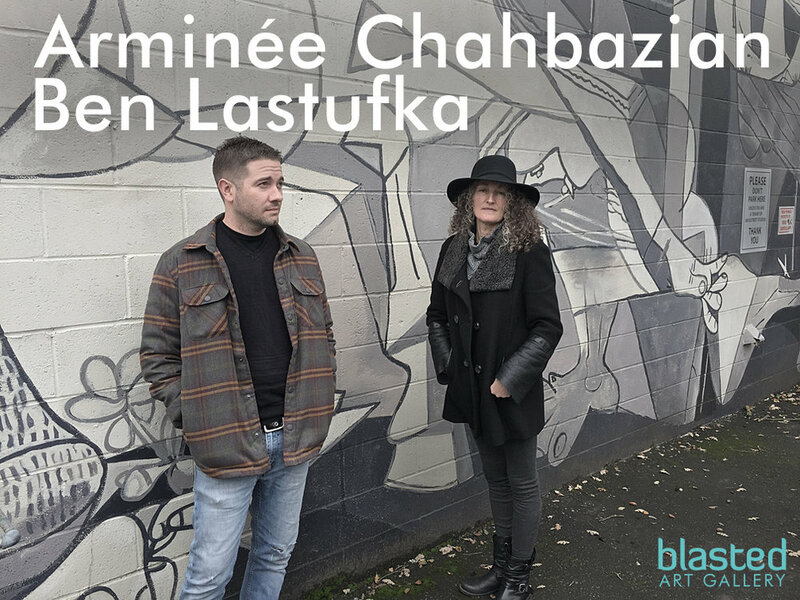 Their photographs were uploaded in real time to Blasted Art Gallery’s Facebook page: facebook.com/blastedartgallery. Outside of the gallery, a video monitor allowed the crowd to view a live-feed of people having a funner time, getting their pictures taken. Over the course of four hours, approximately 500 people were photographed. This took place in an art gallery, so it must be art. This installation was conceived after the devastation of hurricanes Harvey and Irma. As our planning continued, our area suffered disastrous wildfires, which touched the lives of many. Our project then took on a local immediacy. Some viewers of this work may feel a sense of devastation. Others may see an expansion of space, allowing for mourning, contemplation and hope. Visitors typically enter an art gallery with expectations of white walls, a hushed quiet, and well lit artwork. 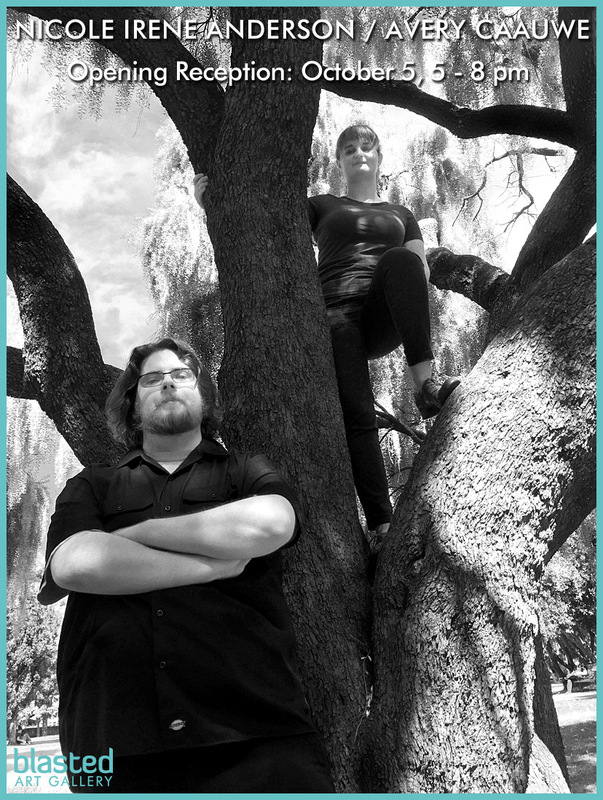 We are intentionally upending some of those expectations through light, color, and sound. 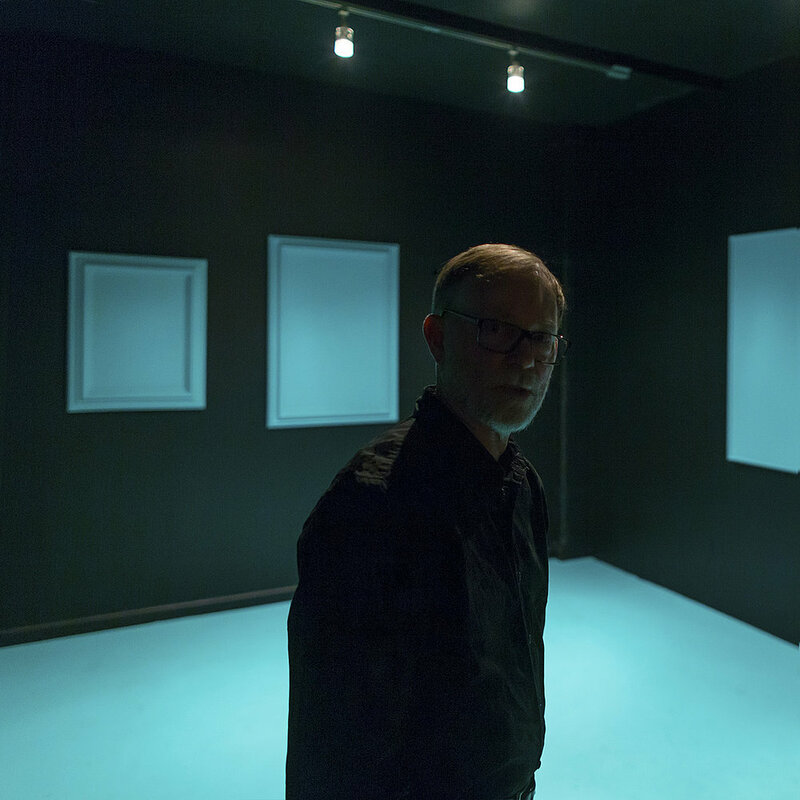 The viewer stands upon the artworks’ color, blurring the line between the viewer and the artwork. 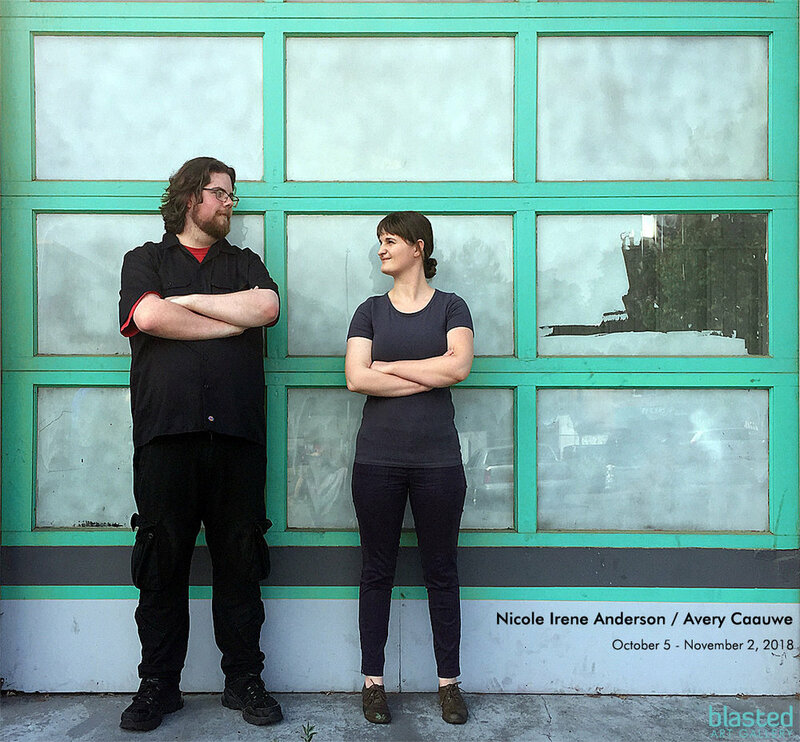 With a desire to make a unique contribution to Santa Rosa’s SOFA Arts District, we are introducing Blasted Art Gallery with an installation that provides the unexpected: transforming a familiar space into Somewhere Else.